This is a die-cut flange U.S. Royal Cord Tires porcelain sign. This particular U.S. Royal Cord Tires sign is shaped and colored like a wall-mounted tire. It reads, “U.S. 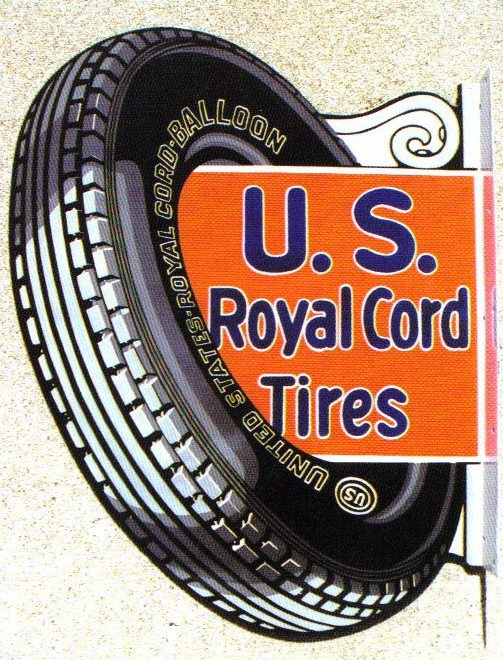 Royal Cord Tires, United States Royal Cord-Balloon” and features an orange insert with blue text.